– Fixed an issue that caused Assembly Kit to fail processing a campaign. – Improved the AI behaviour when defending wall breaches. – Improved the AI behaviour when defending gate breaches. – Fixed an issue that changed the diplomacy relations with AI factions on old save games. – Fixed Zenobia’s VO for Diplomacy in Empire Divided. Following in Zenobia’s footsteps, Cleopatra and Teuta are now fully playable as faction leaders and generals, along with custom visuals and voice-over. Teuta has been added as the leader of the Ardiaei in the Grand Campaign. 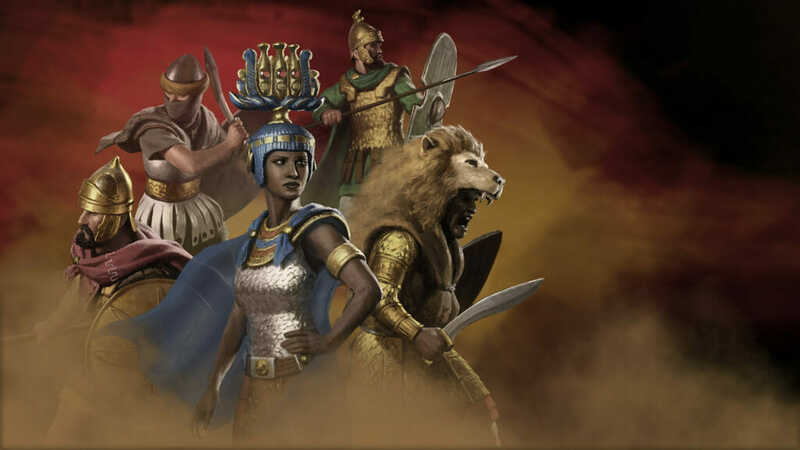 Cleopatra has been added as the leader of Egypt in the Imperator Augustus campaign. Major female characters have been added to all campaigns and all factions. In some cultures, such as Roman and Greek, women occupy social/political roles, while in others, women may be generals and lead armies. For cultures where women do not hold public offices, there is a special Cursus Honorum path that follows the increase in the influence of women in politics. There are special events (dilemmas) which portray the trials and tribulations associated with women coming to power in ancient times. Often, tradition and prejudice stood in the way. Such events allow the player to recruit female leaders, or gain other bonuses from parties that would normally oppose such a decision. Faction leaders of opposite gender can now marry as a diplomatic action, significantly strengthening the relations between the two factions. The basic marriage action now has political implications. The Spices resource has been added to the Eudaemon and Charmuthas regions of the Arabian Peninsula. Spices give a large bonus to tariff income from trade agreements. A new button allowing the player to merge two selected units of the same type into one has been added to the game. The Guard Mode stance has been reintroduced into battles and players can now again put units into Guard Mode, keeping them in position and preventing them from chasing down enemies. Guard Mode is disabled when units are on walls. A new Mod Filter tool has been introduced to help players disable all their mods after a new patch is applied to prevent them from breaking the game. Those factions can still spawn in the game if the player liberates their original regions. Removed Ctrl+F1 as a shortcut to take a screenshot. This was undocumented and causes the game to freeze for second which would make it look like an issue. Fixed issues on club and axe-wielding units sometimes using animations that are meant to be used only with swords (beheadings, stabs, etc). Fixed an issue where Admirals would not be present on their ships. Changed the government types of Athens and Korinthos in the Wrath of Sparta DLC from Kingdom to Politea, and the government type of the Boiotian League from Kingdom to League. Most rival political parties will now always start with a certain set of traits to better represent the current political situation and prevent strange cases like the rival party of the Iceni hating easterners, even though they would probably have no way of even knowing them. Fixed an issue causing the Send Diplomat feature to cause incorrect outcomes that could never result in a critical success. Now with a critical success, the player will get a whole region from the target faction. The champion trait Striking has been fixed to actually hurt the enemy army. Scipio Africanus is once again available in the Hannibal at the Gates campaign. The Seize the Initiative achievement will now unlock if the player manages to attack an enemy army in encamped state and win the battle with less than 15% casualties. The Pontifex Maximus achievement will now correctly unlock when a player constructs a level 5 cultural building as Rome. Fixed some units missing shield decals, mainly for Odryssian Kingdom spears. A new dilemma has been added for all Roman factions upon capturing Rome, asking them if they want to move their faction capital there. The Heavy Raider (Gedriht Swordsmen) can now be recruited as a bodyguard unit for Saxoni Admirals. Fixed an issue with all the Gallic Empire’s client states not recruiting any medium or high tier units. Fixed a bug with cities in eastern Barbarian cultures displaying more artillery slots in the building tooltips then there actually were. Multiple units from the Roman factions have had their models update for better historical accuracy. These units include: Gallic Legionaries, Gallic Imperial Guard, Gallic Longsword Cohort, Heavy Gallic Spearmen, Spear Warriors, Palmyrene Cohors, Palmyrene Veteran Legionaries, Palmyrene Legionaries, Armoured Pikemen, Heavy Palmyrene Skirmishers, Palmyrene Spearmen, Palmyrene Legionary Cavalry, Palmyrene Palace Guard, Roman Legionaries, Roman Cohors, Roman Evocati Cohors, Herculiani, Roman Praetorian Guard, Roman Praetorian Cavalry. Fixed several issues of units not using the correct voice lines, including Germanic Pikes, and some of the Alani units. 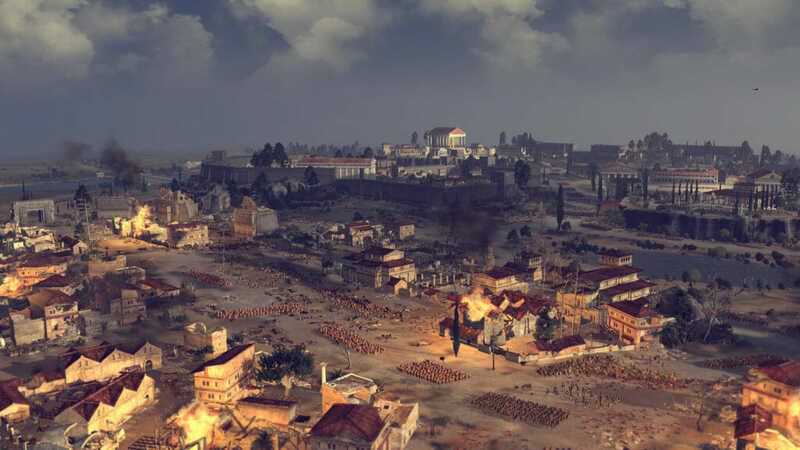 I want to keep Rome II as it is, despite the update!